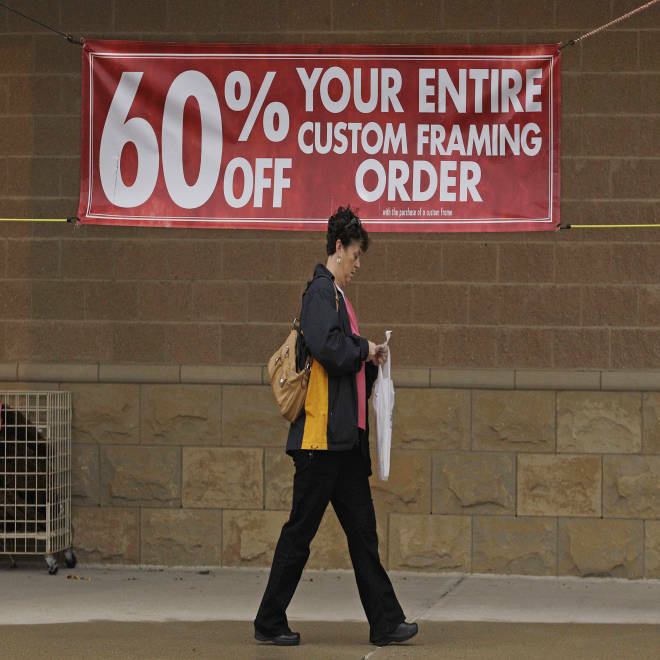 A shopper checks her receipt as she leaves a Michael's arts & crafts store in Plymouth, Mass., in 2010. Michaels, the nation's biggest arts and crafts retailer, said Saturday that it may have suffered a “data security attack” on its computer system that processes payment cards and that federal law enforcement and a computer forensics firm were investigating. "We are concerned there may have been a data security attack on Michaels that may have affected our customers' payment card information and we are taking aggressive action to determine the nature and scope of the issue,'' CEO Carl Rubin said in a statement provided to NBC News. "While we have not confirmed a compromise to our systems, we believe it is in the best interest of our customers to alert them to this potential issue so they can take steps to protect themselves. It was not immediately clear if the Michaels incident was related to either of those cases, which have not themselves been linked and remain under investigation.